STS Technical Services is looking to hire Aircraft Structural Assemblers in Mesa, Arizona! Lays out, fabricates assembles, mates, installs and functionally tests, checks or troubleshoots, and repairs production and prototype aircraft structures, parts and assemblies, mechanical and pneumatic. Performing work in this job occupational field requires the application of procedures, processes, and methods learned through technical and on-the-job training. Reads and interprets information from mechanical/structural, blueprints, planning, process specifications, diagrams, engineering drawings and sketches, and other instructions to determine the methods and sequence of operations to layout, assemble, and install precision parts and assemblies. Lays out coordinated hole patterns, cutouts, trim lines, mating points, assembly and installation locations using precision measuring instruments and equipment. Assembles and mates aircraft parts and assemblies. Attaches structural parts and assemblies using riveting and hand and power tools, hand trim and finish. Drills, routes, reams, countersinks, spot-faces and counter bores parts. Modifies or rebuilds parts to mold line or configuration changes. Modifies aircraft structure, installation and mechanical systems as directed and in accordance with engineering requirements. Fabricates, assembles, installs, hooks up, rigs and troubleshoots hydraulic, pneumatic and mechanical assemblies, subassemblies, operating mechanisms, electro-mechanical or hydro mechanical, parts and assemblies. Functionally checks, diagnoses, locates and corrects malfunctions, reworks/repairs any aircraft assembly, pneumatic, plumbing, hydraulic, mechanical, and rigging systems and structures and installations during assembly operations. Performs experimental and developmental work operations on experimental aircraft or assemblies. Assembles prefabricated parts into assemblies and mate major sections of aircraft assemblies. Incorporates major engineering changes and modifications. Improvise and fabricate temporary tooling, holding fixtures, and templates. Use hand and power tools, layout tools, hoists and mechanical lifting equipment, test fixtures, functional test equipment and precision measuring instruments. Records fabrication, assembly, functional check data and statistical data manually or with the aid of computer or computer-bases system. Performs work in both FOD critical and FOD sensitive environments and ensures all assemblies and detail parts are free of Foreign Object Debris (FOD) and non-conformances issues. Identify nonconforming detail parts, assemblies and processes. This job requires a minimum of a high school education and minimum of 2 years of work related experience or an equivalent combination of education and experience. Experience with basic sheet metal, riveting, assembly methods and common shop practices. Experience interpreting and working from blueprints, sketches and written and verbal instructions, in English. Capable of working any shift. Ability to work extended hours, overtime and weekends when necessary to support factory and operations activities. Experience using computer systems for shop applications. 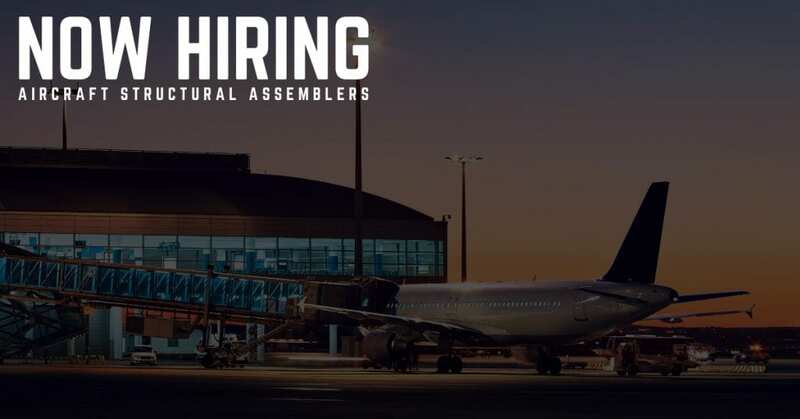 Experience with rigging and installation of operating mechanisms structures, or assemblies and parts, or related systems and equipment is required. Experience with aviation or military products and processes are a plus. If you would like to speak with an Recruitment Professional directly, call 1-800-359-4787. Our job placement services are always free, and we are open seven days a week. Reach out at any time! Thanks so much for your interest in working with STS Technical Services, and we look forward to speaking with you soon.